Vivian Maese focuses on complex strategic and corporate technology transactions in the financial services industry, with a focus on technology, regulation and compliance. Vivian advises clients, ranging from bulge-bracket financial institutions to emerging companies, on matters at the intersection of financial services regulation, trading and markets, and technology and intellectual property-based transactions, as well as new technology innovations in financial services, such as blockchain, crypto assets and machine learning. Prior to joining Cadwalader, Vivian was a partner at Latham & Watkins and co-chaired the firm’s Financial Institutions and Fintech industry groups. She also served as general counsel and corporate secretary at BIDS Trading, a financial services industry consortium for equities trading, and provided oversight on all legal issues related to U.S. cash trading and market data for the New York Stock Exchange. 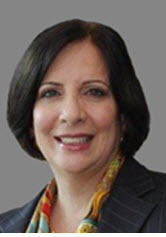 Vivian spent more than 20 years as an in-house managing director and divisional general counsel for Salomon Brothers and Citigroup, where she was the lead lawyer on many transactions and technology initiatives, including the Fulcrum Project, which transformed electronic trading on Wall Street. Vivian is top-rated in all the major directories and was named Band 1, the highest ranking possible, in Chambers & Partners’ annual Professional Advisors Fintech ranking for 2019. She has been recognized repeatedly for her fintech accomplishments. Most recently, Vivian was nominated by her clients and received the Markets Media Women in Finance Award and was named to the Women in Fintech Powerlist. In addition, she was named a Top 10 Innovative Individual in the Financial Times North America Innovative Lawyers 2016 report. Throughout her career Vivian has been very active in the community. She was recently named Humanitarian of the Year by the Hope for a Healthier Humanity (HHH) Foundation, which provides resources to cultivate better health care infrastructures, offer education services, and donate medical supplies to people in underdeveloped nations. Vivian received her J.D. from Brooklyn Law School and her B.A. from Hunter College of the City University of New York. She is admitted to practice in the State of New York. Brooklyn Law School - J.D.